Round neck top by BARBOUR with short sleeves. 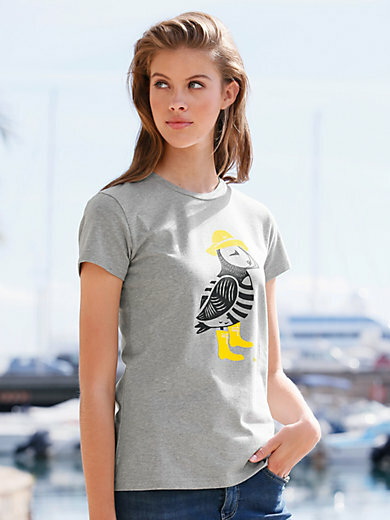 Playful, eyecatching puffin motif printed on the front. 95% cotton, 5% elastane. Length approx. 25 ins. Machine wash.